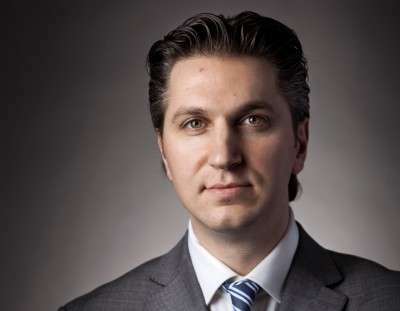 Storm clouds continue to deepen against embattled Amaya Gaming CEO David Baazov, indicted last week on multiple charges of insider trading in connection with the 2014 acquisition of PokerStars parent Oldford Group. In the latest update, fresh from Amaya, Baazov will be taking a voluntary leave of absence from his dual roles as Amaya CEO and Chairman of the Board while the investigation into his activities continues. A brief Amaya press release issued within the past two hours announced Baazov’s interim departure, with Rafi Ashkenazi taking over as Amaya’s Interim CEO and Dave Gadhia as Interim Chairman. Baazov will stay on Amaya’s board and continue to receive his normal pay, despite temporarily handing over the reins to Ashkenazi and Gadhia. 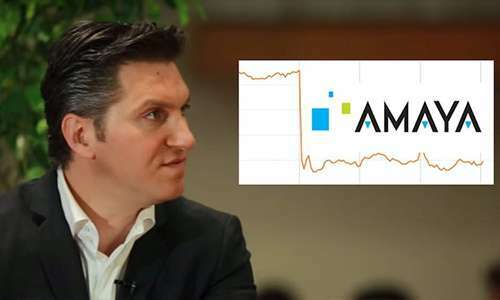 Amaya Inc. (NASDAQ: AYA; TSX: AYA) today announced that Chairman and Chief Executive Officer, David Baazov, is taking an indefinite paid leave of absence from the company, effective yesterday. Mr. Baazov is taking this leave voluntarily to focus on preparing an offer to acquire Amaya and to avoid a distraction for the company while he responds to certain allegations made against him by the Autorité des marchés financiers (AMF), the securities regulatory authority in Quebec. Mr. Baazov will remain a member of Amaya’s board of directors. Ashkenazi may be the most senior of Amaya’s current executives who transitioned to the new PokerStars ownership after previously serving in the Rational/Oldford structure behind PokerStars prior to its 2014 acquisition by Amaya. However, Ashkenazi is part of neither the original Scheinberg family-centered ownership bloc, nor the Amaya ownership core which has now found itself under an investigative spotlight. Several pre-Amaya PokerStars executives with close ties to the Scheinbergs and/or significant ownership holdings were quietly jettisoned from the Stars scene i 2014 and 2015, partly to make the site more palatable to New Jersey gaming regulators. New Jersey was and is viewed by the company as the all-important gateway to a “someday” reentry of PokerStars to the complete United States online poker market. Baazov’s indefinite hiatus from day-to-day leadership activities makes perfect sense when viewed in light of that long-term goal. The brief mention of the possible buyout offer floated by Baazov and his unspecified ownership group in early February is also worth noting. The odds are now long that such a bid will now be made in the foreseeable future, with the news of Baazov’s indictment largely negating the boost in Amaya’s share price that occurred when the unofficial offer was floated. Baazov and his group never submitted a formal bid, even though it was due before the AMF announced its charges against Baazov and 16 others last week. As noted in other updates here at FlushDraw, the ongoing AMF investigation into the trading activities of Baazov and his associates now appears to be expanding well beyond the 2014 PokerStars (Oldford Group) acquisition. Allegations involving insider-trading improprieties now stretch back for much of Amaya’s official corporate history. And while Amaya itself is unlikely to cease to exist, a large-scale overhaul of the company’s executive leadership, possibly also involving yet another sale of the PokerStars entities, now must be considered as one of many scenarios for the company’s future. Just as the old Rational Group was a closely-held group centered on father and son Isai and Mark Scheinberg, Amaya is a closely-held company based on David Baazov and his associates. However, as a publicly-traded firm, the company is subject to significantly more regulatory oversight. As the case against Baazov and his associates continues — and to a certain extent, regardless of whether he and the other defendants are found guilty or innocent — Amaya will find itself negotiating a very tight course. Today’s announcement is a part of that, and it’s likely not the last corporate development coming the poker world’s way.